Funding the Church Redevelopment Project to prepare for the 23rd century. Under the leadership of the Minister, the Rev. Barbara Ann Sweetin B.D. The session have worked together to fulfill their ambitions to provide further communal halls, office and general facilities in a redesigned ground floor area and upper pew area on the eastern wing of the church as well as in the space provided by the removal of the 100-year-old organ which had sadly deteriorated over the years and was not economically repairable. 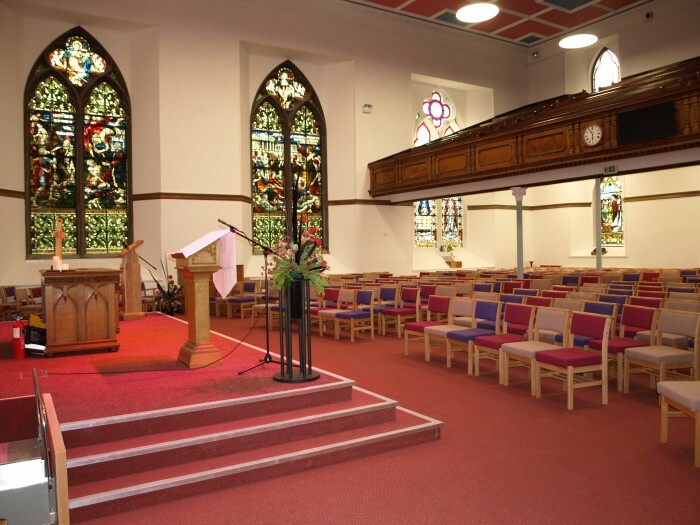 The overall aim of the project was to deliver increased use of the building, making the improved facilities available for the wider community and congregation. The building is B-listed and there are many items of historic interest, so the development takes into account these aspects, along with a strong "green" element to maintain and enhance our Eco Congregation status. Community use, including a playgroup, historical society, dancing group already takes place in the church hall and a number of smaller groups use the Session room of the church. The worship area itself has been used occasionally for theatrical and musical performances including including a choir from St Petersburg, Russia, The African Childrens Choir and Forfar's own Let Your Voices be heard - with their last performance in 2016 at the Church Halls. The main church building was handed back to the congregation during March of 2017 with the ground floor reception area, main sanctuary and social space reconfigured and all services and systems replaced including electrical wiring, heating and ventilation, flooring ceilings and audio visual systems. This concluded phase one of our vision and we continue to work towards phase two of our challenge. Above: Dec 2016 - View from the retained West uppergallery to new East Wall Above: Dec 2016 - The new North wall replacing the removed organ and formation of uppler level gallery (behind) Above: Dec 2016 - The upper level North Gallery looking from the West stairs upper landing.